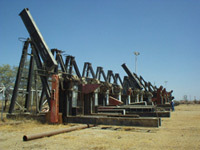 Following the 1991 invasion of Kuwait in the Persian Gulf, Iraqi forces severely damaged an estimated 400 pump-jacks in the Wafra Oilfields, located near the Neutral Zone, separating Kuwait and Saudi Arabia. The resulting fires canvassed these fields for months inhibiting our abilities to assess the damage in order to estimate the time and money needed to restore these pump-jacks to operating condition. 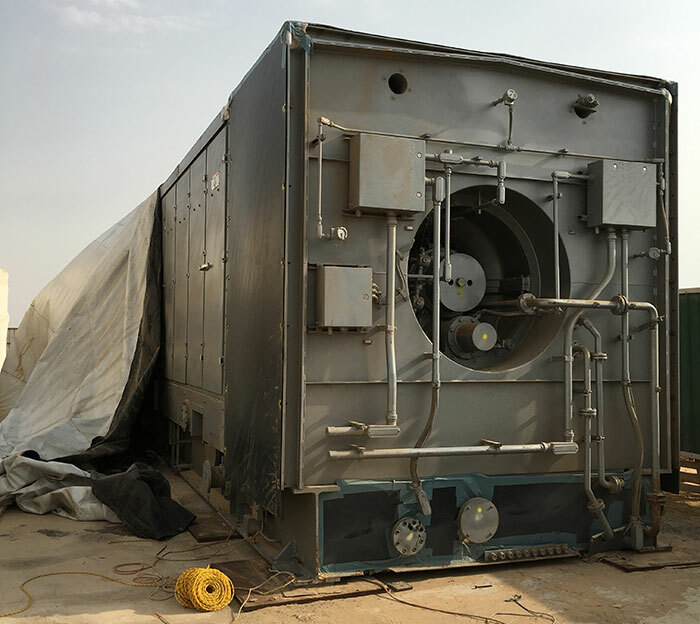 The Kuwait Oil Company awarded TAI a multi-million dollar contract to supply replacement parts for the damaged pumps. Thomassen Amcot manufactured the parts in Texas and successfully concluded the deliveries over several years without incident. In 1994, TAI took on a new challenge. 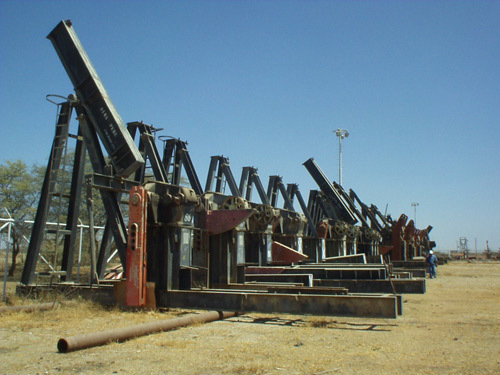 Occidental Petroleum had decommissioned and stacked an estimated 375 pump-jacks in the village of Tallara, the northern region of Peru. 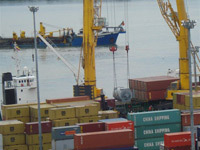 Oxy made several failed efforts to negotiate the sale of these assets to different parties. TAI recognized an increasing need for pump-jacks in the U.S. market as demand increased and supply capabilities at the factories fell behind. Within a few weeks Oxy and TAI joint ventured in an effort to return ship the pump-jacks back through Houston and into the end user base. For the next four months TAI supervised the dismantling, packaging and shipment of all 375 units back to Houston. Two ships were chartered and several hundred trucks were lined up at the Houston port to provide overland transport to their respective buyers. TAI successfully sold all of the units within a 6-month period. Entrepreneurial and creative solutions have always been a cornerstone of TAI's business philosophy. Our experience leading up to the conclusion of the 1994 Oxy Peru project proved to be a template transferable to the power generation sector. 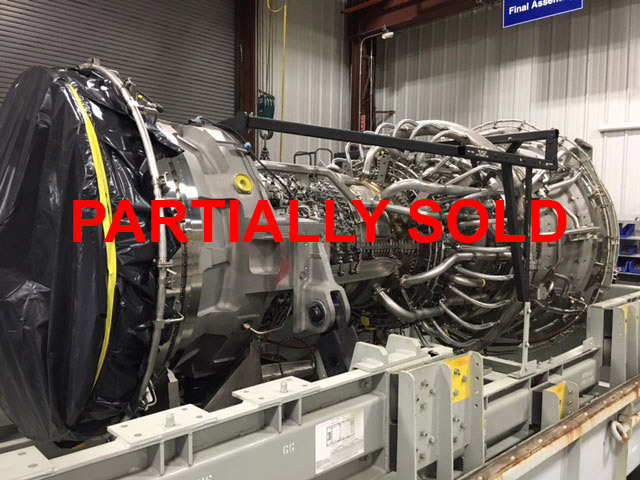 Identifying well maintained gas turbines and steam turbines, installed or stored, throughout the world proved to be a relatively untapped arena. What made the power sector so much more compelling were the lengthy OEM lead times for new equipment. 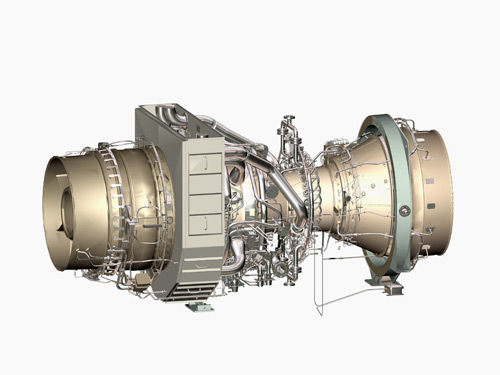 Deliveries for new gas turbines and steam turbines have varied from as little as 8 to 10 months to as high as several years. The planning and construction cycle for completed plants may take many years. Unfortunately pocket demand throughout the world often requires expedited alternatives. These are often met with smaller mobile units. However, these offer very limited solutions. The TAI model pinpoints timely solutions for short, medium and long-term power demands in both major developed countries as well "emerging markets." The width and depth of TAI's solutions range from smaller 10MW mobile units to complete 600MW combined cycle power islands. Our knowledge of the secondary market is second to none. Our clients have included many of the world's major power producers as well as smaller independents and cooperatives. We also work and consult for a number of financial institutions in their evaluation of capital power assets "stranded" globally. We have been retained to represent several bankruptcy committees in the divestment of their own generation assets. Our professionals will conduct a custom search for your desired asset. Get the latest on new equipment.